Palestinian prisoners charged with security-related offences are immediately taken as a threat to Israel’s security. They are seen as potential, if not actual, suicide bombers. 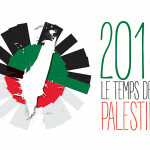 This stereotype ignores the political nature of the Palestinian prisoners’ actions and their desire for liberty. By highlighting the various images of Palestinian prisoners in the Israel-Palestine conflict, Abeer Baker and Anat Matar chart their changing f…ortunes. 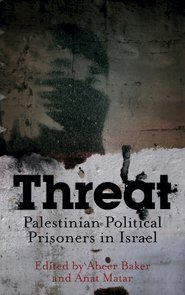 Essays written by prisoners, ex-prisoners, Human rights defenders, lawyers and academic researchers analyse the political nature of imprisonment and Israeli attitudes towards Palestinian prisoners. 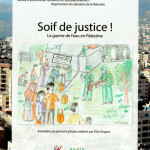 These contributions deal with the prisoners’ status within Palestinian society, the conditions of their imprisonment and various legal procedures used by the Israeli military courts in order to criminalise and de-politicise them. Also addressed are Israel’s breaches of international treaties in its treatment of the Palestinian prisoners, practices of torture and solitary confinement, exchange deals and prospects for release. This is a unique intervention within Middle East studies that will inspire those working in human rights, international law and the peace process. Abeer Baker is a senior lawyer with Adalah: The Legal Center for Arab Minority Rights in Israel (NGO) and heads the Legal Clinic for Prisoners’ Rights, in the Law Faculty of Haifa University. Anat Matar is a senior lecturer of philosophy at Tel Aviv University and a political activist. She is the chair of the Israeli Committee for the Palestinian Prisoners.